This year’s March for Life was something of a victory lap for an anti-abortion movement that is nearer than ever to its goal. Thousands of marchers from all over the country were in the nation’s capital last Friday, celebrating the confluence of religion and politics that could end almost a half-century of legal abortion, thanks to a large group of newly confirmed federal judges chosen in part for their opposition to abortion. Vice President Mike Pence excited the crowd by quoting Scripture and declaring that their movement was “animated by faith.” He assured them that the new judges would be on their side, as was the man who appointed them. “The truth is, Donald Trump is the most pro-life president in American history,” Pence said to thunderous applause. The march is an annual event, marking the anniversary of Roe v. Wade, the landmark Supreme Court decision that established a woman’s constitutional right to end an unwanted pregnancy. The 7-to-2 decision, delivered on Jan. 22, 1973, was based on a line of cases that established a right to privacy within families and between a doctor and patient, which, among other things, made it legal to talk about family planning and distribute birth control. The decades that have followed have not cooled the zeal of Roe’s opponents, who have succeeded in passing state laws that make it more difficult for women to choose an abortion, especially poor women. So-called TRAP laws (an acronym for “targeted regulation of abortion providers”) have caused safe abortion clinics to shut down because they could not meet the new requirements, putting the surviving clinics physically out of reach for women who don’t have the means to travel long distances. Other state regulations include counseling requirements that force doctors to read scripts written by untrained legislators, providing scientifically suspect information, before they can perform an abortion. More recently, states have passed laws that put hard time limits on the legality of an abortion: 15 weeks in Mississippi, 11 weeks in Kentucky, after the detection of a heartbeat in Iowa. 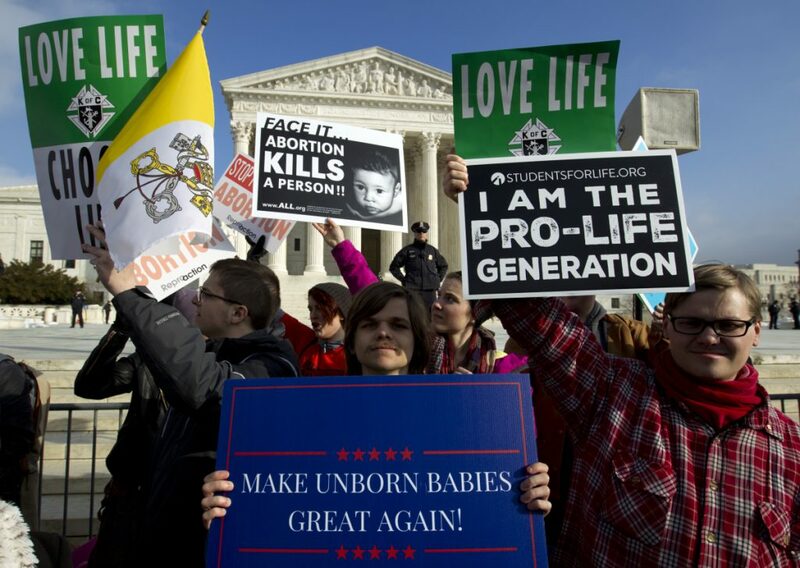 Those laws are headed to the Supreme Court, which is stocked with an anti-abortion majority, bolstered by two Trump nominees who were vigorously supported by the pro-life movement. Far from being “settled law,” as then-Supreme Court nominee Brett Kavanaugh claimed during his confirmation process last summer, the rights established in Roe v. Wade are being worn away, not through a campaign of moral persuasion, but of constant political pressure. Forty-six years ago, the Supreme Court of the United States determined that the Constitution’s protection against loss of liberty without due process includes women who don’t want to be pregnant. The court found that the decision to have a family is a private one, and that it should not, in most cases, be made by the government. That’s still sound reasoning. Despite this wave of activism, it should be allowed to stand.